Osio-Brown Editions has finally gone mobile!!! 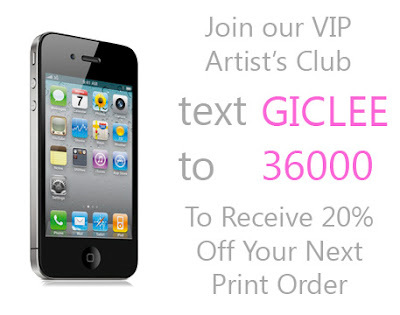 Join our VIP Artist's Club to receive exclusive offers, updates & information. Several weeks ago I struck up a conversation with a gentleman who was visiting the gallery and was fascinated with the art gallery business. He is a business owner himself and was curious about the mechanics of the art business. He asked a lot of questions about how I decided what art to show, how the relationship with artists worked, and about the challenges of the business. I just smiled . . . if only that were true! While there are those times that exactly the right buyer appears and finds exactly the right art, it is much more frequently a significant amount of effort to close a sale. If you’ve followed my writing here at reddotblog, or attended one of my webinars or seminars, you probably already know that I take the art sales process very seriously. I consider sales a craft, and as such I have become a student of salesmanship (I should probably call it “salespersonship” to be more accurate). Very early on in my gallery career I picked up a copy of Zig Ziglar’s classic sales book “Secrets of Closing the Sale.” Even though Ziglar wasn’t in the art business, his timeless advice about how to close a sale has helped me countless times over the years. Some of his advice has to be adapted to fit our business, but his core outlook on the sales process applies to any sales opportunity. While much of what I learned in the book makes its way into my daily sales life at a subconscious level, there is one page in “Secrets of Closing the Sale” that I consciously think about quite frequently. In chapter 22, Ziglar talks about words that help sell. He provides a list of 24 words that should be used when attempting to sell. The first word he mentions is your client’s name – and if you’ve read my book “How to Sell Art” you know I am a big fan of using a client’s name repeatedly throughout a contact. These words help create a positive atmosphere around you and your art. You’ll notice I bolded several of the words – these are the words I find I have to make the most effort to avoid (and are all closely related to the question of $). I recommend that you avoid talking about the “cost” or “price” of your art, and instead talk about the “value”. Even though we might think of those words as synonyms, there is a world of difference between a sculpture that has a cost or price of $3,000, and one that has a value of $3,000. Take a moment and look these three words up in your dictionary and you will see that the first two have a negative connotation (you’re losing or giving up something), while value is positive. Ziglar also discourages the use of any profanity when conversing with a client. Vulgarity won’t necessarily kill a sale (though it might), but it’s never going to help make one. Making a conscious effort to select the right words is particularly important when working on any marketing or advertising copy, when speaking with a client or a gallery that might want to represent you, and when you find yourself negotiating to close a sale. If you don’t believe that word selection is important, I would encourage you to experiment with your word usage and see what impact it has on your sales. Have the right words made a difference in your sales? Are there particular words you try to use or avoid when interacting with a customer? Have the wrong words ever cost you an art sale? Share your experience and thoughts in the comments below.